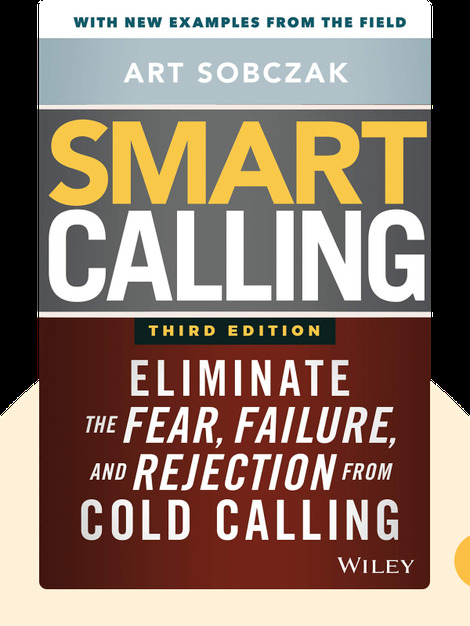 Smart Calling (2010) is all about the art of cold calling, an important business practice that even seasoned salespeople dread. Many of us tend to associate cold calling with call center cubicles, boredom or manipulative strategies – but it doesn’t have to be this way. These blinks explain how you can overcome the challenges of cold calling to create a more pleasant and fulfilling experience for both you and your prospective customer, funder or employer. Art Sobczak has over 30 years of experience in the sales industry. He’s a professional B2B cold calling trainer at his company, Business By Phone Inc., and Smart Calling is his first best-selling book. 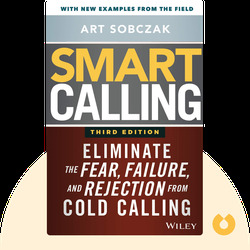 © Art Sobczak: Smart Calling copyright 2013, John Wiley & Sons Inc. Used by permission of John Wiley & Sons Inc. and shall not be made available to any unauthorized third parties.